Spirit Trucking LLC offers daily delivery service in Austin, San Antonio and surrounding areas. We schedule on demand when you need reliable last minute solutions. Spirit provides delivery transportation according to your needs with a range of service options, equipment, and tools required to do each job to your specifications. We serve a variety of clients from individuals to businesses, and hold several contracts for ongoing deliveries from brand name businesses direct to the consumer. See what our clients say. Shipment tracking is monitored dispatch to driver. Each driver may be contracted direct by cell phone at any time. Documentation for deliveries may consist of any chosen format agreed upon by shipper/receiver and is supplemented with a hand written delivery service order detailing the shipment and signed for by shipper, driver, and receiver. We have a range of independent contract drivers with vehicles capable of carrying up to 18,000 lbs and up to 12 pallets per shipment unless pallets may be safely stacked. See Our Dedicated Delivery or on DEMAND Delivery Services. 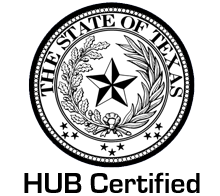 As a certified minority business and Texas HUB, we provide a competitive and valuable option to larger businesses that support Diversity programs in our communities. Your organization's commitment to diversity can be extended when you make thoughtful and inclusive decisions and seek out certified diverse suppliers. Spirit Trucking LLC is a TX DOT certified motor carrier with up-to-date US DOT and MC authority. We are fully licensed and insured. Spirit Trucking LLC is recognized for our ability to provide services utilizing WBE, SBE, and HUB certifications. 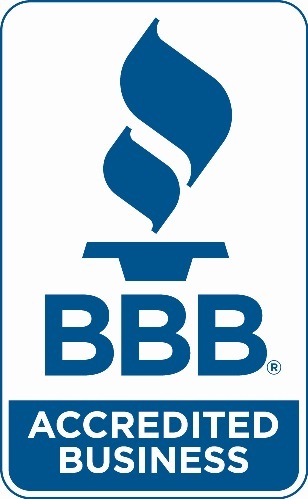 We maintain our accreditation with the Better Business Bureau annually. 1996: Our roots in transportation come from 7 years training and experience in truckload transportation to all 48 states. 2002: Spirit Trucking LLC is formed and operates a single tractor-trailer under contract for nationwide delivery. 2004: Spirit Trucking LLC begins contract operations locally in Austin Texas. 2006: Spirit Trucking LLC converts to a general freight delivery business. 2009: Operations are diversified to provide service outisde of general freight deliveries. 2010: Spirit Trucking LLC becomes certified by the City of Austin Small & Minority Business Resources Department as a WBE, SCTRCA as a SBE & WBE, and by the State of Texas as a HUB. 2013: We add a courier division to provide additional service options and a more environmentally friendly option to efficiently ship smaller deliveries. 2014: Spirit Trucking LLC forges a partnership with a warehousing and a global logistics company to provide alternate service options for more diverse client needs. Spirit Trucking continues to grow organically with the goal of serving every client with excellence. Our owner, Darci, has some depth of experience in the transportation industry spanning 22 years. In a recent interview with Echo Logistics as part of their Women in Logistics: Profile Series, she shared about her overall experience in the industry, and personal details and thoughts on everyday operations. Our goal: to provide excellent service, every time.